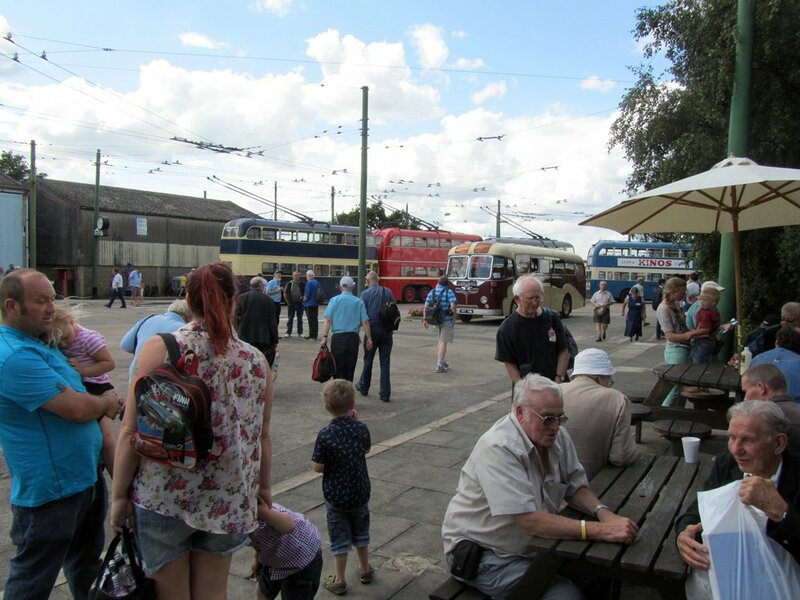 It was in late 1969 that four separate enthusiast groups - The Reading Transport Society, The Doncaster Omnibus and Light Railway Society, the West Riding Transport Society and the Notts. & Derbys. 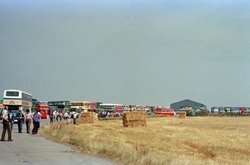 Transport Society - came together to establish a working trolleybus museum on four derelict acres of a World War Two RAF airfield at Sandtoft, near Doncaster. Sandtoft is in the parish of Belton and in an area known as the Isle of Axholme, at that time in the Lindsey area of the County of Lincolnshire but now within the precincts of North Lincolnshire. The story actually goes back to April 1961, when a 23-year old schoolteacher decided he wanted to see one of his home town's pre-war trolleybuses preserved, as they were scheduled to be replaced by brand new trolleybuses. That schoolteacher was Michael Dare and the town was Reading. Mike had discussed the idea with the General Manager and Engineer at Reading Corporation Transport, Mr William John Evans. Mr. Evans was very receptive and suggested that to try to make the idea work, Michael should write and get a letter published in the local paper asking if anyone might be interested in forming a group to buy and look after the trolleybus. 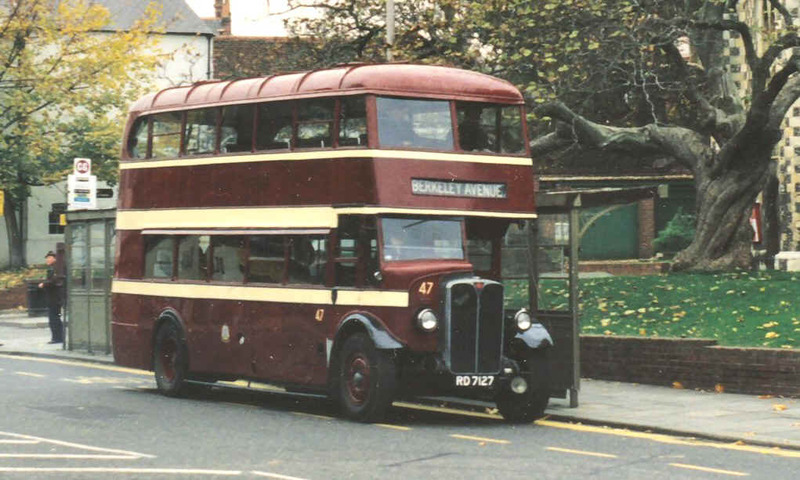 The result was the formation of the Reading Transport Society with initially around 10 members from the town and in September 1961, no.113 was purchased from Reading Corporation (minus its traction motor, which was retained for use in one of the new Sunbeam trolleybuses) to become the first privately preserved trolleybus in the country. Having acquired a trolleybus, it was suggested that a pre-war Corporation motor bus ought to be sought as well: they had all been sold years earlier, but one, no 47, was tracked down in Sussex and was acquired in 1963. The early 'sixties was witnessing the withdrawal of many trolleybuses around the country and so, no doubt encouraged by the appearance in 1962 of a preserved London trolleybus no.260 at Smith's of Reading - the coach operator's garage where no.113 was kept - word seemed to get round the general managers of trolleybus systems about the emerging preservation scene. This had the result that in a very short space of time trolleybuses from South Shields (no.204) and from Cardiff (no.203) were presented to the Reading Transport Society. One thing led to another and Bournemouth no.212 (originally no.99) and Derby utility no.172 were purchased by the society. The seeds had been sown for a trolleybus museum to be formed. In addition to the Reading Transport Society and the London Trolleybus Preservation Society, as the momentum to abandon trolleybus systems increased, small groups of trolleybus enthusiasts had sprung up around the country - in Cardiff, Manchester, Wolverhampton, Nottingham and Huddersfield amongst them - and some had bought or been given trolleybuses of their own. Storage for immobile trolleybuses was not always easy to find and searches during the latter part of the 'sixties by most of these groups did not yield a museum site with any great potential: the nearest was at Plumtree, near Nottingham, but that had too many drawbacks to allow it to work out. By 1968, the LTPS had decided to become part of the projected East Anglia Transport Museum at Carlton Colville. Then in late 1968 Mike Dare's cousin Paul Tucker told Mike about the four acres at Sandtoft being for sale. The Reading Transport Society tried, but were unable, to raise sufficient money to buy and develop the site. Mike's mother, Mrs. Dorothy Dare, then agreed to purchase the land, put up a depot building to rent it to the RTS. Again, the RTS finances were not sufficient to be sure that the entire rent could be paid in the future and other enthusiast groups were approached to explore some sort of alliance to make a trolleybus museum happen. Agreement was reached by four groups to form a trust called the Sandtoft Transport Centre Association, which was then registered as a charity. Between the four groups and their vehicle-owning members there were sufficient vehicles needing accommodation to fill an eight vehicle depot (seven trolleybuses and one motorbus). Accordingly, Mrs. Dare went ahead with the project, and the first vehicle, Reading trolleybus no.193, arrived in November 1969. Almost immediately, further trolleybuses (and some diesel buses) arrived. Very quickly a colourful row of them built up alongside the depot. A 14-vehicle depot extension was built in 1972 to accommodate them. Again, trolleybuses and buses started to accumulate outside, particularly with the arrival of several trolleybuses from Bradford (which by this time had closed its trolleybus system), so a second extension (for 22 vehicles this time) was constructed in 1973. Covered space for 10 more vehicles has since been added. Over the years various other buildings have been constructed for different purposes - a workshop, a toilet block, an audio-visual theatre, stores and a souvenir shop (the last two being prefab bungalows relocated from town redevelopments). A former tram shelter was rescued from Huddersfield and re-erected at the Museum. 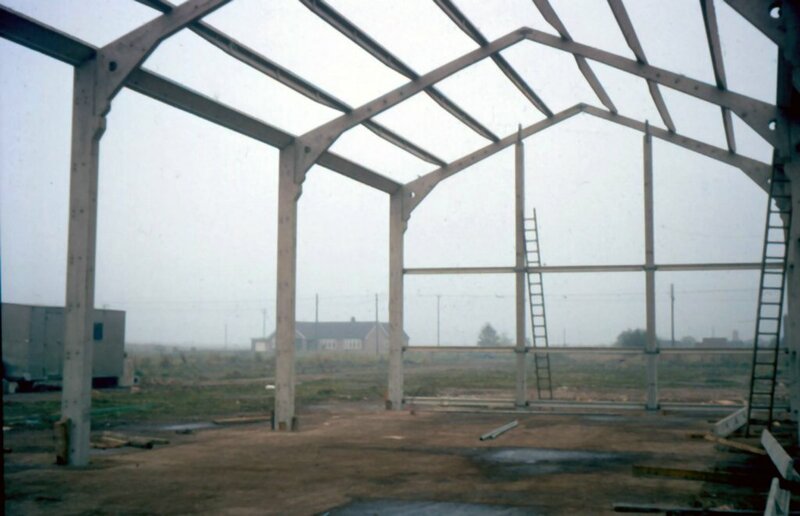 In 1995/6 grants were secured to enable a completely new exhibition hall building (known as the Axholme Stores) to be built and the toilet block to be substantially upgraded. The Museum souvenir shop was relocated to part of the Axholme Stores building in 1997. This building now also houses the Museums cafe facilities. 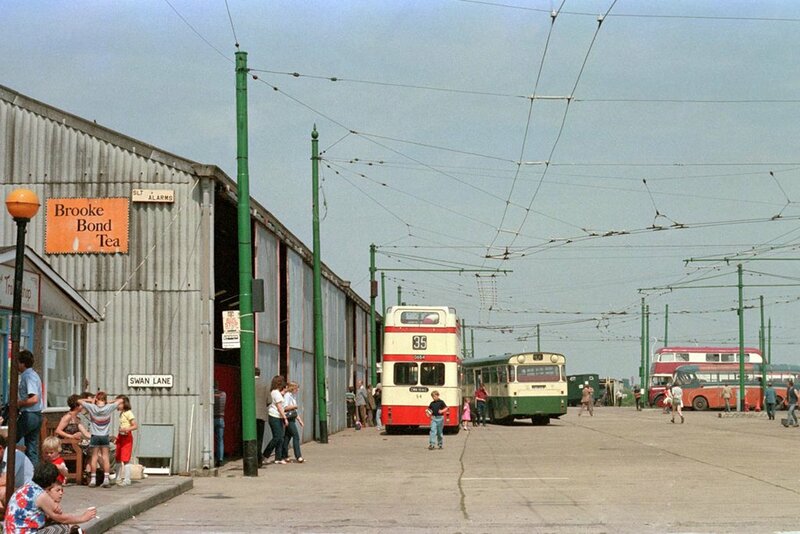 Construction of trolleybus overhead wiring commenced in 1971 and was completed in stages: the first trolleybus operated from the powered overhead on 3 September 1972, the electricity being provided by a diesel-powered generator built on the back of a Scammell towing lorry owned by the Notts. & Derbys. Transport Society. The museum itself subsequently built its own generator (on the back of a Commer lorry) using an old AEC 7.7 litre bus engine coupled to a trolleybus traction motor: this generator set gave many years service, and it was not until the early 1990's that mains electricity for the trolleybuses was installed, this using a modern transformer and solid state rectifier. Many of the trolleybuses - and other vehicles - in the Museum's collection are owned either by preservation groups or by individuals. However, the Museum itself owns some of the collection, these dating from 1928 to 1985, and it relies on its members to restore and maintain them. Some of the Museum-owned vehicle collection are little more than fragile shells that will require very extensive restoration work to bring them back to their former glory. The Museum first opened its gates to the public in September 1971 when the forerunner to the present annual Sandtoft Gathering was held. 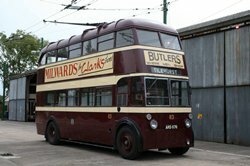 The Museum is now open on selected days between Easter and November for trolleybuses to operate and carry visitors. Apart from trolleybuses and transport, the Museum now features 1950/ 60's memorabilia. Over the years, many bits and pieces related to this era (which fits in nicely with he heyday of the trolleybus) have been donated. A 1950/ 60's street scene features shop windows, complete with displays, whilst the prefab utility bungalow, previously used as the Museum's souvenir shop, has now been fitted out as a "home" so as to show even more of these period artefacts. Over its 40 years of existence, many people associated with the museum have come and gone. Likewise, the groups associated with the Museum have changed with only the Doncaster Omnibus and Light Railway Society remaining basically unchanged. 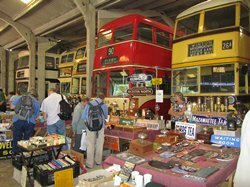 The Reading Transport Society became the British Trolleybus Society in April 1971, and still has very strong links with the Museum, but the West Riding Transport Society went through some changes and eventually wound up, with its assets passing to the British Trolleybus Society. The Notts. & Derbys. Transport Society had some very enthusiastic members, but was never very big and it ceased as such in the mid 'seventies. 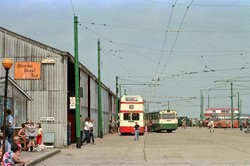 On the plus side, the end of trolleybuses in Bradford in 1972 and the large influx of Bradford trolleybuses into preservation led to the Bradford Trolleybus Association being formed, and they became one of Sandtoft's supporting groups. Many vehicles that have been kept at Sandtoft have moved on - some to the scrapyard (a choice sadly made by their individual owners), some to other collections and for restoration by others elsewhere, but some have gone away and returned. 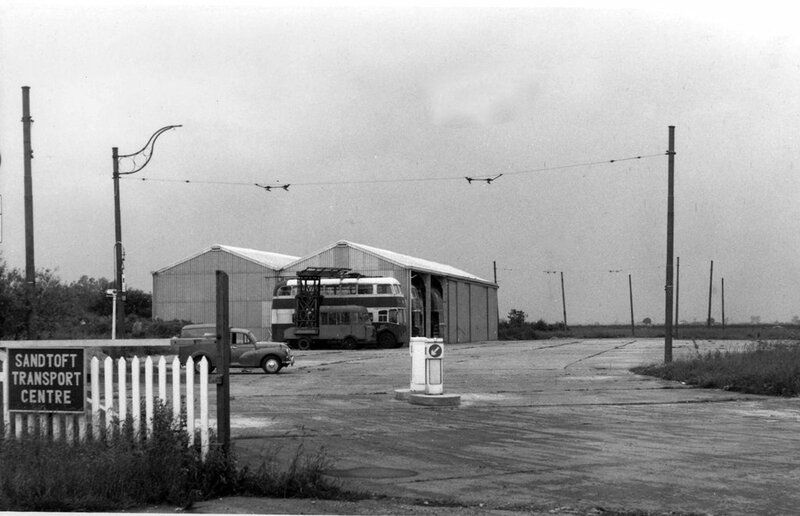 The Trolleybus Museum at Sandtoft, as it is now called, is operated by a company - Sandtoft Transport Centre Limited - which replaced the Sandtoft Transport Centre Association in 1982. The company is also a registered charity. The Museum houses the World's largest collection of historic trolleybuses - including two chassis, there are 46 examples currently kept at the Museum. Everything that has been achieved over the years has been done by volunteers and, with the exception of the Axholme Stores building, the children's play area and the upgrading of the toilet block - which received a high percentage of its funding from the EU, the Rural Development Commission and the erstwhile Boothferry Borough Council - has been entirely privately funded through the efforts of these volunteers. In February 2003 the Museum achieved Registered Museum status - recognition that the Museum reaches the national standards required in collection care, public services and museum management. In 2010 The Museum gained further status by achieving Accreditation status. The MLA’s Museum Accreditation Scheme sets nationally agreed standards for all museums in the UK. The Trolleybus Museum’s award proves it measures up, meeting the guidelines on how it is run; how it looks after its collection and services it provides its visitors. 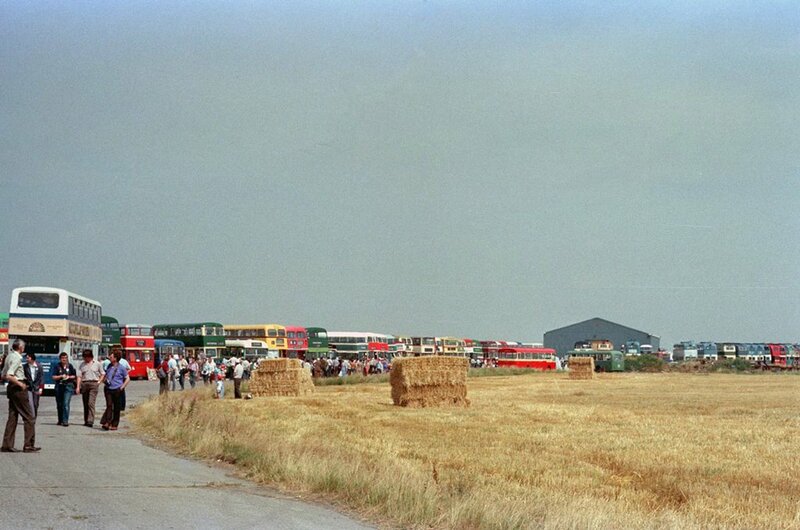 For many years The Trolleybus Museum had made use of adjacent farm land for hosting vehicle rallies and car parking during events. In the spring of 2008, after 4 years of fundraising, The Museum purchased some of this land for itself. The additional land, directly adjacent to the Museum's north perimeter, equates to an additional 1.2 acres. This land will be used mainly as a public car park on open days but marks the completion of the first phase a much larger expansion project. 2009 marked 40 years since the creation of The Trolleybus Museum. To celebrate this anniversary, a special Extravaganza Weekend took place during the year. Visit the Open Days at a Glance page for details of this years' events. A lot has happened in the last 49 years - and a lot is planned for the future !